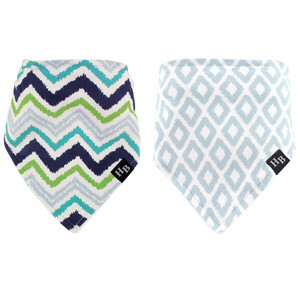 Hudson Baby Bandana Bib 2 Pack with Teether are an adorable way to help keep your baby's clothes clean during meals. Teether on bottom corner of bib helps baby through the teething stages. 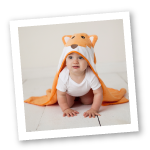 Made of 100% cotton, these bibs are backed with knit terry to remain gentle and absorbent. 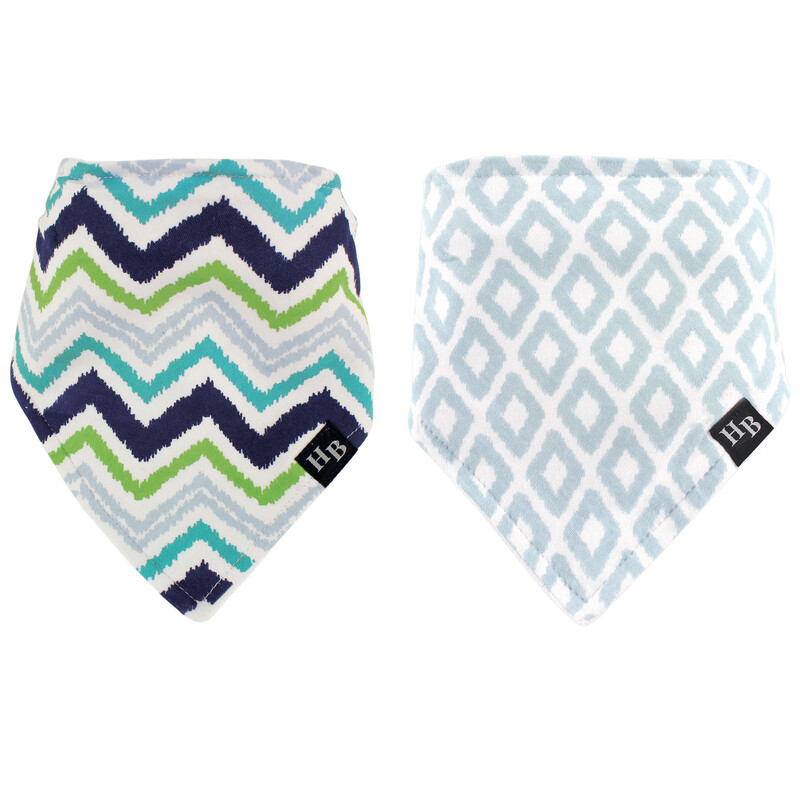 These bibs have a snap closures so bibs can stay on.